The Packers are sending some confusing smoke signals. On one hand they timed there Stock sale, at the very best possible time; namely, being on top of the world as the defending Super Bowl Champions. On the other hand, the Packers failed big time--to make changes to their defense late in the season, leading to an early exit in the playoffs. The coaching carousel started before the Packers season was prematurely cut short with a loss to the eventual Super Bowl winner New York Giants. Now which direction are we heading? Do we have a dismantling of the team under way? The Packers coaching changes are sure to change the team, now we have the Franchise tag, and whom do you tag. Another problem the Packers have is with Scott Wells, Wells is unhappy with the Packers lack of appreciation, and may be headed elsewhere. The Offensive line would suffer further problems next year trying to rebuild again. As the paper writes, this is not a salary cap issue, because the Packers could pay Wells what he is worth. It sounds like they are just not willing to do it, because, I do not know, he is not important enough to the team. Aaron Rodgers has to be concerned about the constant changes to his line, and with protection problems--concussions are always a concern. Do the Packers want to regress to the line protection problems of 2010? According to a poll conducted by the Milwaukee Journal Sentinel, only 24% say let Wells go to free agency, with over 3500 votes, 76% say no to letting him go via free agency. The Packers Donald Driver has stated he would take a pay cut to stay with the Packers, not much has been said relating to his status. Jermichael Finley is being considered for the franchise tag, Finley has yet to show in my opinion, being worthy of a top tier paid Tight End, Finley ranked 14th in the NFL at tight End, and drops were a problem that hurt the Packers when it counted. The faces of the Packers are changing from top to bottom, and money is always a factor in the equation; thus, the money coming from new television contracts should enable the Packers to sign, and keep players, not rebuild. The Packers will look different going into next season; that is, more changes than a normal attrition year, Coaches and Players. The question is which way are the Packers leaning? Rebuilding or Building the nucleus of good players we have. Time will tell us, which direction the Packers choose. 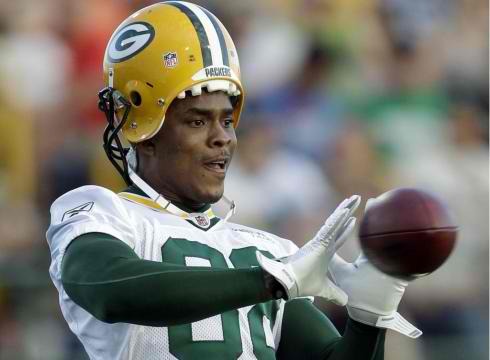 The Green Bay Packers have reached an agreement with tight end Jermichael Finley on a two-year, $15 million deal, a league source told ESPN NFL Insider Adam Schefter. Finley posted a message on his Twitter account Wednesday night appearing to confirm reports that he has agreed to return to the team. Finley wrote, "It's TRUE! Thank you so much to the Packers organization, all my fans, and my beautiful wife." Packers officials did not immediately confirm terms of the deal. The Packers Stock sale has expanded to Canada, fans have expressed a big interest in the stock and after regulatory hurdles, the original stock offering was for 250,000 shares, and added another 30,000 late last year. A total of 880,000 could be made available.